Dr. James Nestingen | The Old Adam Lives! Here’s a sermon by our good friend, Dr. Jim Nestingen. And thanks to First Lutheran Church of Sioux Falls, South Dakota. 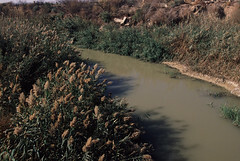 Also, thanks to flickr and wblyons, for the photo of the River Jordan. Join Pastor Mark as he works from an article by James Nestingen, on how Lutherans understand the Word of God, and where we (any Christian) derive our authority to preach, teach, and proclaim the Word, and administer the sacraments. Thanks to Pastor Mark Anderson, and James Nestingen. 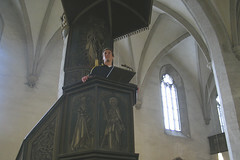 And thanks to flickr and crbassett, for the photo of the pulpit that Luther preached from. I only had a chance to watch the first half, but I enjoyed the class very much and learned a few things, besides.